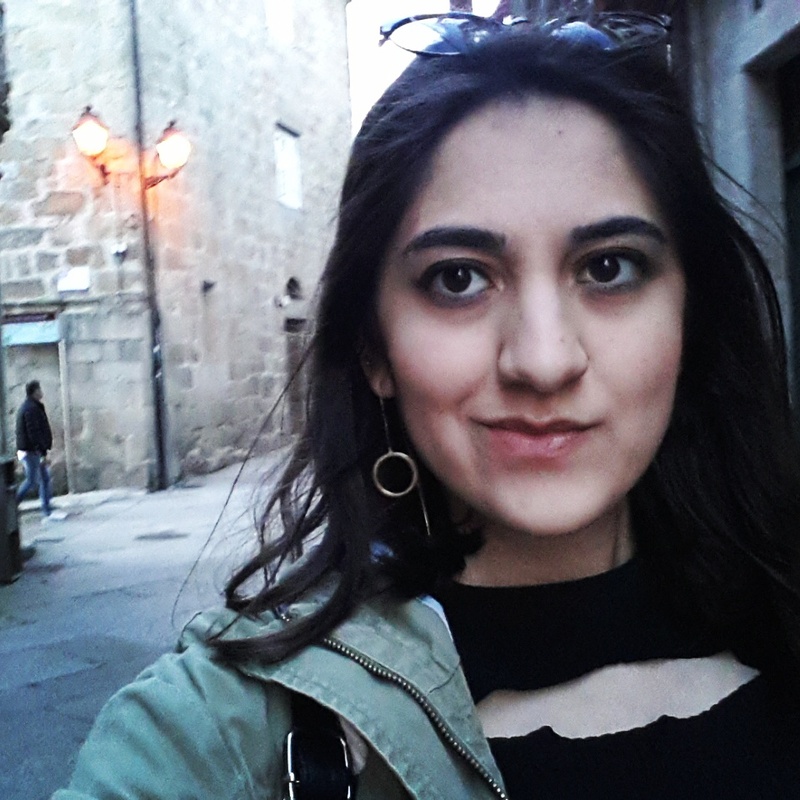 I am a young woman, Ruken, from Istanbul, Turkey. 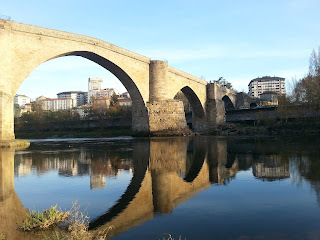 I have started volunteering in SUSTINEA, Ourense at the beginning of March with a huge excitement in a new environment! Yes, about me: I have studied architecture and landscape architecture in Istanbul.. 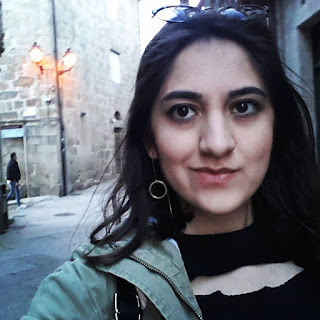 I love every kind of art and nature and I have been doing volunteering with refugees, children in Istanbul..I was working as an architect and thought that a life wouldn’t pass just working everyday in the same place and I am a young woman who is willing to create new opportunities for herself and the world! For over a year I was planning to do EVS and searching for places to volunteer for and then I found Sustinea, a NPO which seeks for a better ecological future (I think for all of us) with inspirational young people..I am really thankful to them to give me this opportunity! After aaalll the bureaucracy (as a non EU young person everything is harder for us) I finally hit the road, It was my first time in Spain and to be honest I didn’t know a word in Spanish but I checked everything before my arrival (thank you for existing Google Maps!) So, there wasnt any problem, I had to take a flight first to Madrid and then a train to Ourense, except at one time at the Barajas airport I was like where should I take the train and then it was all good.. 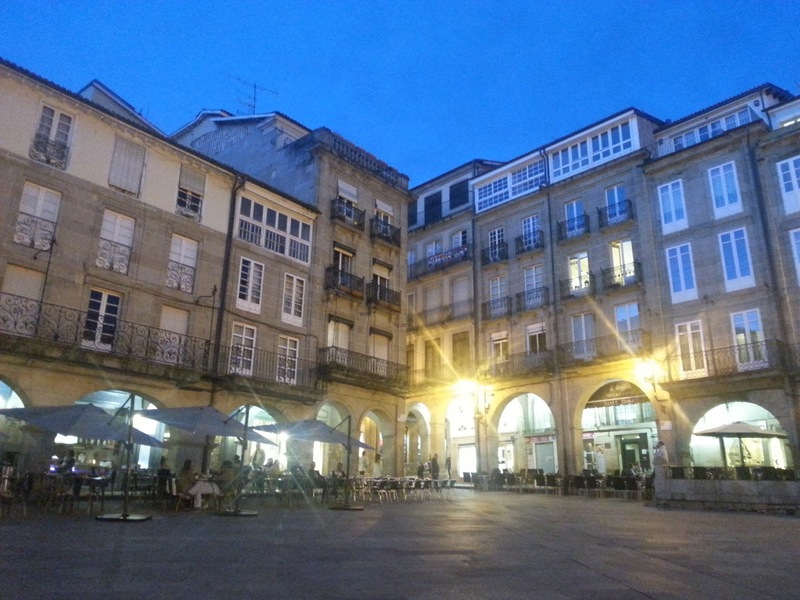 I finally arrived to Ourense at 9.00 pm after 15 hours journey from Istanbul. and the nice people of Sustinea welcomed me with the warmth of home, team of Sustinea are reaally nice and so helpful..
Then we went out to see the city with Steve, the other volunteer and my first expressions about the city was about how small it was for me cause I am a big city girl with almost the population of 20 million and I could just wander the whole city in a week.. Yes I am from a totally different culture but the world is global in 21th century and even if we have miles between us we use the same brands, have similar habits with some little differences..so it wasn’t hard for me to get used to the life in here but of course I can say there are some big differences! For instance I have only seen 2 cats since I came here and wow this city is like a catless city. there is no street animals which I think this is odd and unnatural, the dogs are all shiny and clean and people in here are happy! yes this is really really strange for me since the recent events going on in my country for almost 10 years. people are so stressed, anxious and fearful, people saying 'holaa que tal' to each other all the time was weird for me, it is not like people doesn’t say hi to each other, they are but not so open-hearted and intimate in the big cities..
One of the good thing is in here nobody minds in another’s business! the lifestyle is also a little bit different, we work a lot in Turkey, the working hours are really high there and in here people closes their shops at siesta time and Sundays. to me they seem like they have a freedom on their working hours and they can spend more time for themselves which we don’t have this luxury in a very chaotic lifestyle.. 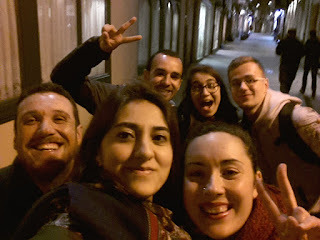 But the city is beautiful with its history, old town, stone buildings, little villages, nights, living Galician culture even the young people embrace it..
About SUSTINEA, I really appreciate what these young people are achieving in here, in my opinion Galician people already have an ecological, sustainability awareness and leave with this in their lives, I have been doing volunteering in urban gardens or the university permaculture club but it is nice and teaching to be with the people who already know and live a life like this.. and Ourense is the best place with rural and urban mix in the city..I am really excited to be a part of the new allotment garden in its foundation and the other upcoming projects of the organisation I am volunteered for.. So let's keep in touch. My second wiriting will be about the formacion week in A Coruña..